Is Your Marriage Like a Pair of Scissors? You are here: Home › Is Your Marriage Like a Pair of Scissors? 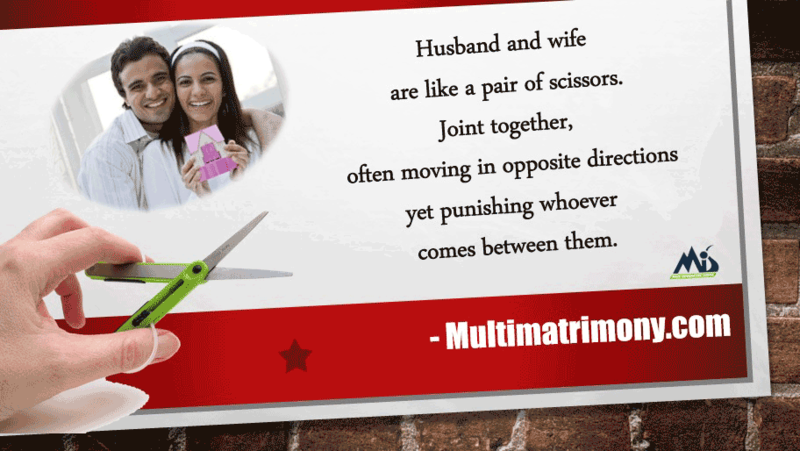 Marriage resembles a pair of scissors, so joined that they cannot be separated; often moving in opposite directions, yet always punishing any one who comes between them.